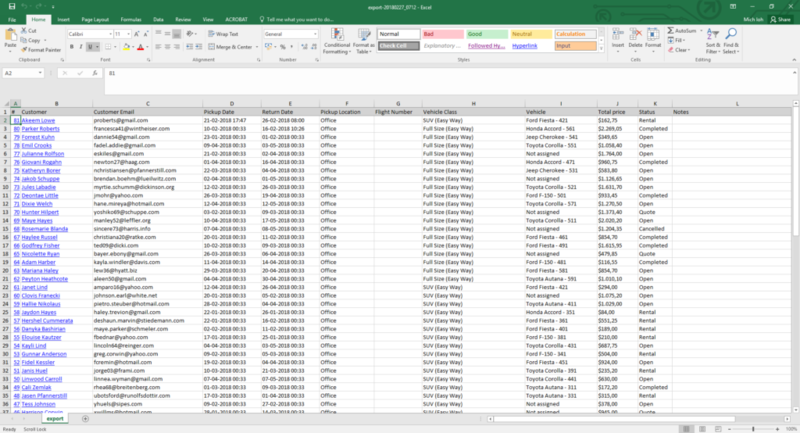 The system allows you to export the data that you have on the current page into an excel file. 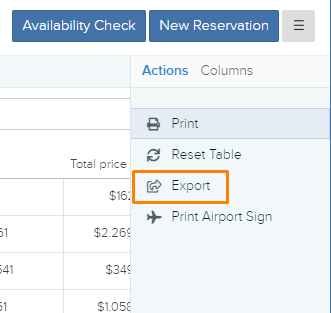 You can choose what details you would like exported by selecting which header columns are showing in the table. For example, if you have the “Total days” header showing on the table; when you export into an excel file, the file will also include the “Total days” column. By exporting data, you are able to keep track of your data in the event that there is an error with the system. How to export the data that I currently have? Firstly, apply the filter that you would like for the data. You can learn how to do so by following this link here. Then, select the columns that you want in your excel files by selecting the headers. You can learn how to do so by clicking here. Next, click on the “Hamburger” button on the top right of the page, highlighted in orange in the picture below. Once you have clicked the button, a side menu will slide out from the right. 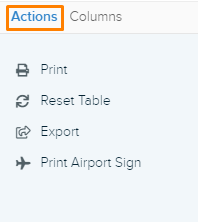 Make sure that the “Actions” tab is selected, highlighted in the picture below. Next, click on the “Export” button, highlighted in orange in the picture below. The system will automatically create an excel file which your browser will download. The file will look something like this in the picture below. 6.1 How to create, save and delete filters? 6.2 How to view more columns in the tables and sort them? 6.4 Can I view more rows? 6.8 How to create a support ticket? 6.9 How to clear the demo data?